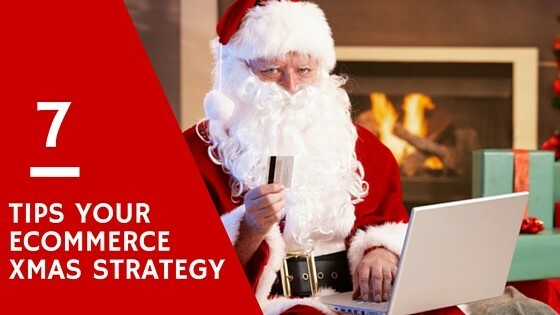 A Christmas campaign is one of those essential elements of your E-Commerce strategy that shouldn’t be left until the last minute. It’s time to prepare, especially given that eight out of ten Christmas shoppers look for gifts and ideas online before making a purchase, creating a significant opportunity for retailers. The Christmas season is fast approaching. Now is the time to plan your marketing strategy and engage with your customers for peak season. The main goal of email marketing is to trigger an action from the recipient. As such, one of the most, if not the most, important element of your email is your Call to Action button (CTA). These buttons are used in your website and on your landing page to guide users towards your goal conversion. CTA buttons can vary in style and size depending on your goal conversion and website style. Here are 7 examples to improve your conversion and get the most clicks out of your beautiful buttons. Retailers are improving the online shopping experience for users in their websites but they need to find the way to reduce basket abandonment, an inevitability problem in e-commerce as it’s all to easy for shopper to lose interest, decide to buy from a competitor or back out because they are only browsing. In 2015, business-to-consumer e-commerce sales grew 21.1% to top $1 trillion for the first time, according to new global estimates by eMarketer. With this increase in sales also comes an increase of abandoned cart, according to most researches out of 10 shoppers 7 abandoned their carts at checkout. How should you build your shopping cart abandonment email? A very important part of your shopping cart abandonment email is about the ability to deliver a sense of trust, excitement and urgency, enabling a tangible desire to buy your product. If you follow this emotional engagement closely your ability to sell will then go up dramatically. The key components of a good shopping cart abandonment email are sender, subject line, visual reminders of the product(s), personalisation, branding and a clear call to action button. Transactional emails are typically sent automatically and are triggered by an event such as a product purchase, request for information, or a newsletter sign up. With overall open rates averaging greater than 70%, transactional email can be used to improve conversion rates to purchase, cross-sell, or up-sell products, increase web traffic, qualify leads, and provide marketing accountability.